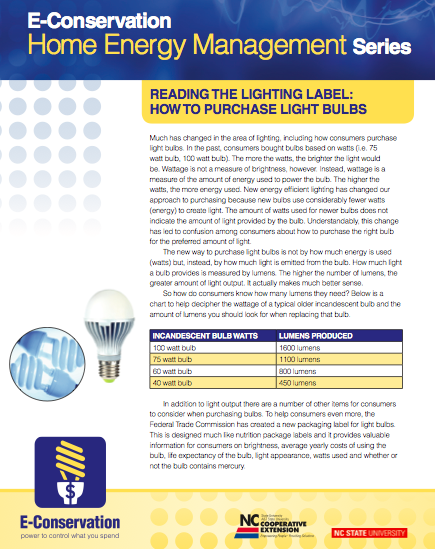 Reading the Lighting Label: How to Purchase Light Bulbs – New energy efficient lighting has changed our approach to purchasing because new bulbs use considerably fewer watts (energy) to create light. 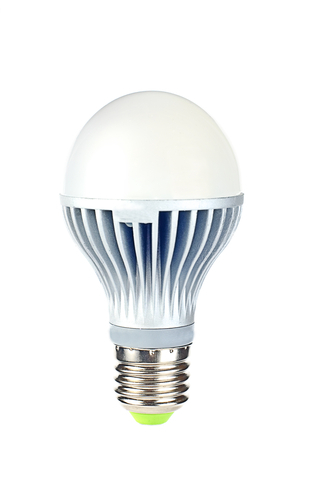 The amount of watts used for newer bulbs does not indicate the amount of light provided by the bulb. Understandably, this change has led to confusion among consumers about how to purchase the right bulb for the preferred amount of light. 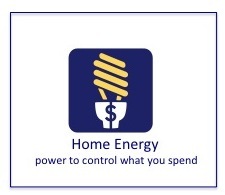 Lighting – Myths and Facts – You are seeing a number of new light bulbs at your local store. These bulbs—new energy-saving incandescents, LEDs and CFLs— cover the range of color and features you’re accustomed to, yet they use less energy. Let’s clear up some misconceptions about these new lighting choices. NPR’s Guide to Changing Light Bulb – Feb 2014: Buying a light bulb used to be relatively straightforward: Check your old bulb’s wattage, head to the store and pick up a new one. But the transition to energy-efficient lighting has changed that. Halogens, CFLs, LEDs, watts vs. lumens — the array of choices on the market today can make selecting the right a bulb an exercise in confusion. So here, we try to demystify the new light bulb landscape.